More than anything else, Panic Button has demonstrated what the Switch is truly capable of- over the last year, they have already ported Wolfenstein 2: The New Colossus and DOOM, two current generation AAA games, and graphical showcases both of them, made for PS4, Xbox One, and PC, to the Nintendo tablet- and both games ended up holding up well! Currently, Panic Button is working on developing Warframe for the Nintendo Switch– but surely, after all this time, and with this being their third game on the system, they must be close to tapping out what the Switch is capable of, right? Speaking in a Reddit AMA, Panic Button mentioned that each time they think they are close to maxing out what the Switch is capable of, it seems like a new API update by Nintendo, or something like that, unlocks more. “Nintendo is also always adding new tools and APIs that unlock different techniques and avenues for performance,” they said. 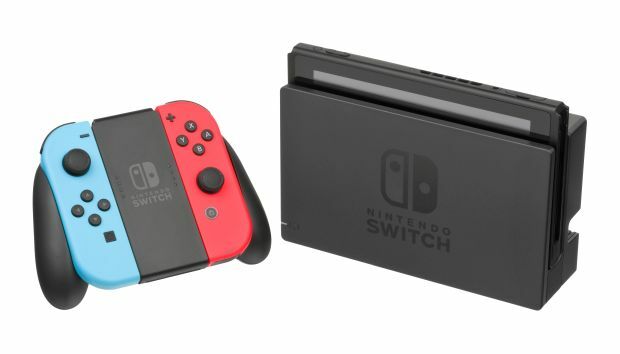 They also mentioned that the Switch is a fantastic device for what it is, and that comparing it 1:1 to other consoles doesn’t make sense because of how unique it is. That said, one way in which the Switch is better than other systems is that there is no obvious weakness or bottleneck to it, “We’ve worked with hardware in the past where you could say “oh, it doesn’t do transparency well” or “oh, the fill rate is a huge bottleneck”, but on the Nintendo Switch there’s not a particular “Achilles heel” that we’ve found, the hardware is pretty capable with everything we’ve thrown at it,” they said. That actually is interesting, since bottlenecks on hardware are really common- even on the Xbox One/Xbox One X and PS4/PS4 Pro, the CPU, for instance, is a very obvious and immediate bottleneck. It’s interesting that no such complaints about the Switch have come up yet- if nothing else, it is evident that Nintendo has made a very well balanced machine overall.